As your eyes adjust to the candlelight, you can just make out a circle of men and women, sitting close, shoulder to shoulder. Fingers strum guitars, hands clap byzantine rhythms, heads bend, listening intently to the gravelly voice of a lone singer. The woman next to you suddenly rises from her seat, her face transfixed in a mask of concentration, fingers snapping a morse code intelligible to everyone but you. 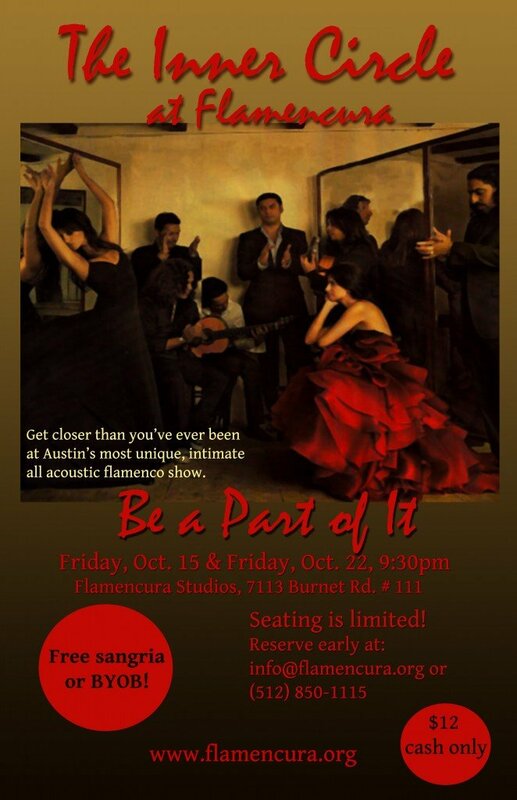 She raises her arms and stamps her foot… the night has just begun.” The Inner Circle at Flamencura–be a part of it!